While those without a strong baking and pastry background may not be immediately familiar with choux (pronounced similarly to "shoe" or "shoo") pastry, they almost certainly know of and have likely eaten one of the many delicious treats based on this type of dough. 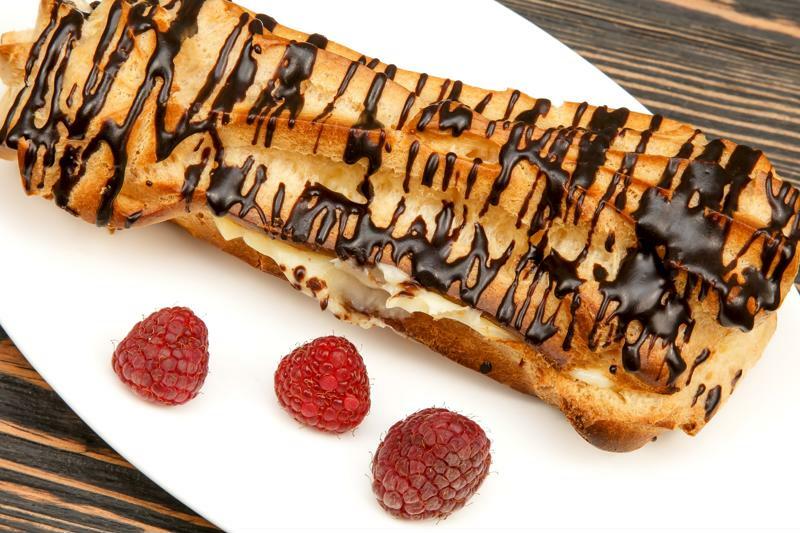 Eclairs, profiteroles, crullers, beignets and many other sweet baked goods, along with some savory types such as certain kinds of gnocchi and dumplings, all rely on choux pastry. Let's look at what aspiring and current Austin pastry school students should know about this dough and its many applications in the world of baking and pastry arts. Choux pastry is a versatile dough that requires careful attention to prepare. A properly made choux pastry is recognizable based on the crisp, firm outer shell and a light, airy center, as The Spruce Eats pointed out. This structure allows it to provide stable, long-lasting support for a variety of fillings, like the custard often used in eclairs and the somewhat lighter creams frequently seen in cream puffs. The texture and mouthfeel of choux pastry is unique and without any sugar flavor. That stands in contrast to the richer, sweeter accompaniments often associated with the baked goods that use it. The dough itself is simple in terms of its ingredients, although – like many other pastries and baked goods – it requires an exacting approach for best results. The four ingredients in a classic choux dough are butter, flour, water and eggs, with a touch of salt sometimes also included. The dough rises and forms the finished choux pastry through the use of steam, avoiding chemical or biological agents, like baking powder or yeast, to aid in the leavening process. This approach is labor intensive but also yields a versatile final product that can be used in a number of sweet and savory applications. The Kitchn pointed out two key considerations when it comes to choux pastry: the need to carefully add eggs to the recipe based on outside factors and the careful, detail-oriented approach bakers need to take when the dough goes into the oven. A strong choux dough includes as much egg as it can hold, and oversaturating the dough with egg can make it difficult to both pipe the dough and successfully bake it. Humidity, flour and other factors all have roles to play in this process, so make sure to carefully follow the instructions for adding egg to your dough. Similarly, baking choux dough involves temperature adjustments to help the dough release moisture and reach the correct final consistency. These details can change from one recipe to the next – the instructions offered by The Spruce Eats involve one temperature adjustment, while The Kitchn's recipe includes a total of three different baking temperatures. There's more than one way to create a great finished pastry, but you'll likely find a recipe that produces especially strong results and want to stick to it or even slightly modify it. One of the greatest benefits of choux dough is that it can be piped and otherwise shaped into a number of different forms before baking, and holds its shape well after the process is complete. Once you develop proficiency making the dough itself, you can start to enjoy the experimentation that comes with different fillings, icings and flavor combinations. Visit our Baking & Pastry page to learn more about how you can hone your choux pastry skills, among a variety of other baking talents, with the Auguste Escoffier School of Culinary Arts.